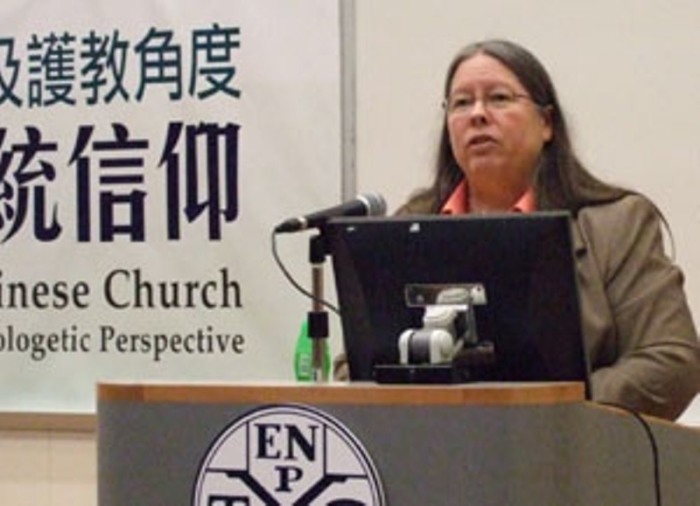 Christian apologist and educator Gretchen Passantino Coburn, who had worked with apologist Walter Martin, died at a hospital in California after suffering a medical emergency at her home in Costa Mesa. Passantino, co-founder of the apologetics research organization Answers In Action, died at Hoag Hospital, California, Thursday night after suffering a massive medical emergency a day earlier at her home. On Wednesday, Cindee Martin Morgan, the daughter of the late Martin, posted on her Facebook account: "Gretchen has suffered a major heart attack and is currently in a hospital, unconscious, and doctors are still assessing the extent of any possible damage to brain and possibly kidneys. Please pray for Gretchen." Martin, was founder and former President of The Christian Research Institute with whom Passantino, 62, worked for many years. "She and Bob (Passantino's first husband who died in 2003) have deeply touched many of our lives, including mine, and we are very concerned for her and her husband, Pat. Thank you all very much in advance," Morgan added. Passantino, who had been an adjunct instructor at the undergraduate, graduate and seminary levels, was remarried to Pat Coburn in 2005. It is not known if the cause of Passantino's death was heart attack. "Gretchen was one of the greatest, though largely unsung, apologists of our generation," Pastor Lee Patrick Strobel, author, journalist and apologist, told The Christian Post. "Her influence on the lives of many budding apologists will never be fully realized until heaven," Strobel added. "She and her late husband Bob wrote and edited influential books and articles on a variety of apologetics topics. She was brilliant and compassionate, a thorough researcher and dogged pursuer of truth – the embodiment of 1 Peter 3:15. She was famous within the apologetics community, though her name wasn't very familiar in broader circles. Her loss will be felt by all whose lives were touched by her. We are thankful she's at Home with her Savior." In a 2006 interview, featured on the Morehead's Musings blog, Passantino shared her views on apologetics. "If we as apologists are not willing to be self-reflective, objective about our strengths and weaknesses, and enthusiastic about continually adapting what we do to the unique audiences God brings us before, then we will fail at a calling that is second only to the preaching of the gospel," she said. "And often people will not listen to the preaching of the gospel until their objections and misunderstandings are dealt with, which is the provenance of apologetics." She also argued that the reason apologetics is so popular in American Protestant Evangelicalism of the 21st century is because "we are largely a culture of words, not of relationships." "And yet, it is by relationships that lives are changed," she went on to say. "This is incredibly biblical, but incredibly missed by many of us as apologists. In fact, one could have all the reasons, answers, and arguments that Jesus Christ is Lord, but unless we have that relationship with Him by the power of the Holy Spirit, we don't have eternal life! If we would remember this simple core gospel principle in everything we do, we as apologists would be incredibly more effective and far easier to live with!" 'The Leftovers': Will New Rapture Series Affect How the Secular World Views Christianity?